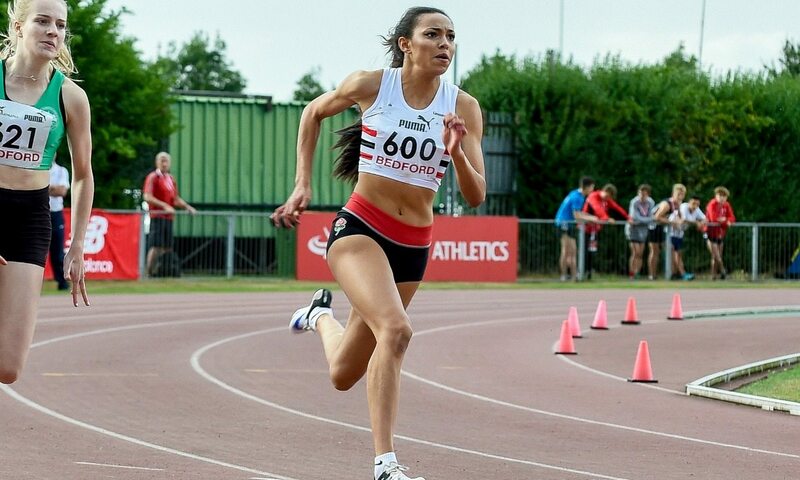 After taking silver over 200m in the intermediate age group at the English Schools Championships earlier in the year, Lincolnshire’s Georgina Adam was delighted to earn selection to represent England at the SIAB Schools International in Ashford. The 16-year-old made the most of her England debut, too, coming away from Ashford with two gold medals in the 200m and 4x100m – and she clearly really enjoyed the experience. Georgina went on to claim silver at the England Athletics Under-17 Championships at the end of August. Earlier, the Lincoln Wellington athlete had enjoyed a taste of success in 2015, when she claimed bronze at the English Schools, but having just missed out on a top-two spot to secure selection for the international she had been determined to go at least one better in 2016, which she duly did. Looking ahead, she is aiming to go sub-24 over 200m next year, win a medal in the senior age group at the English Schools and go to the World Under-20 Championships in the future. What is all the more impressive is that Georgina is multi-talented, playing football at a high level alongside her athletics. She used to play for the Lincoln Ladies’ Centre of Excellence and trained on Mondays and Wednesdays, in addition to matches on Saturdays. Having completed her GCSEs, next year Georgina is continuing on in the sixth form at North Kesteven School in Lincoln. She will be studying for an A-Level in sociology and health and social care, as well as a BTEC in sport. “Beyond that, I hope to study at Loughborough University for a PE-related degree or I may pursue a football scholarship in Canada, depending on how my grades pan out,” she says. You can find further performance stats on Georgina on Power of 10 here.